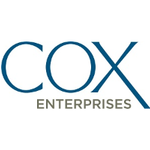 Cox Business is more than part of a cable company – we are a technology solutions leader. In addition to offering data network services for businesses, we also consult with companies of all sizes to provide managed network services, cloud infrastructure, managed hosting services and other emerging technology solutions. Our Account Executives earn a competitive base salary, uncapped commissions and exceptional benefits. In addition, you’ll have access to training, support, and the chance to qualify for an annual all-expense-paid luxury incentive trip for top performers and their guests. This is an outside sales position for highly motivated, achievement-driven professionals selling to local businesses within our community. •Excellent skill in adaptability, applied learning, assignment management, building relationships, written communication, expanding and advancing opportunities, formal presentation skills, functional competence, high impact communication, continuous learning, PC skills, reasoning, and sustained customer satisfaction, in order to work effectively with teams throughout organization.